The cockpit of this Catalina flying boat, built 1943 in Canada, has some modern components - it's still flying, and one of the stars of the British air show scene. G-PBYA is owned by the Catalina Society, and based at the Imperial War Museum in Duxford, Cambridgeshire, where the virtual tour was shot. All controls, instruments, and switches are explained - just hover over an area of interest, and a text will pop up (this doesn't work on touch devices, unfortunately). The panoramic view shot at the rear of the aircraft is quite unusual, it's shot from inside one of the huge perspex blisters. The rear of the aircraft is almost authentic, so this might be a useful reference. If you are interested in future aircraft panoramas (also online is the English Electric Lightning and Canberra, and the Duxford Catalina), please sign up to my mailing list! 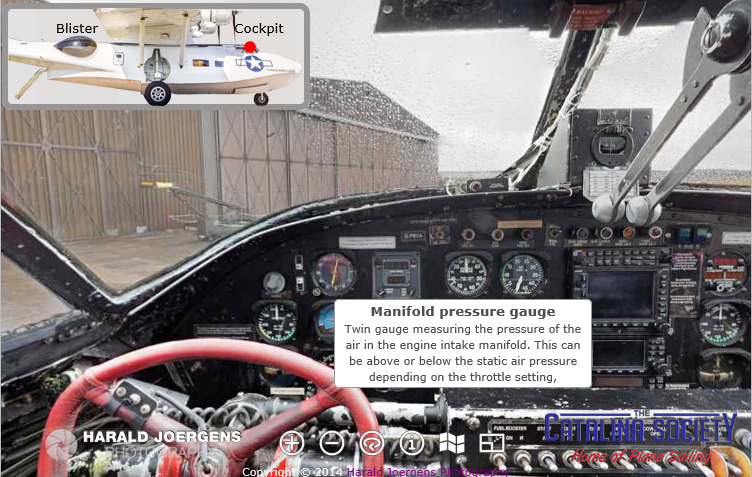 If you can think of an aircraft that might benefit from an interactive panorama, or a virtual tour, please let me now! Welcome to the forum Harald. Good post. Hope to see more of you here. Is the Catalina a favorite with you ? 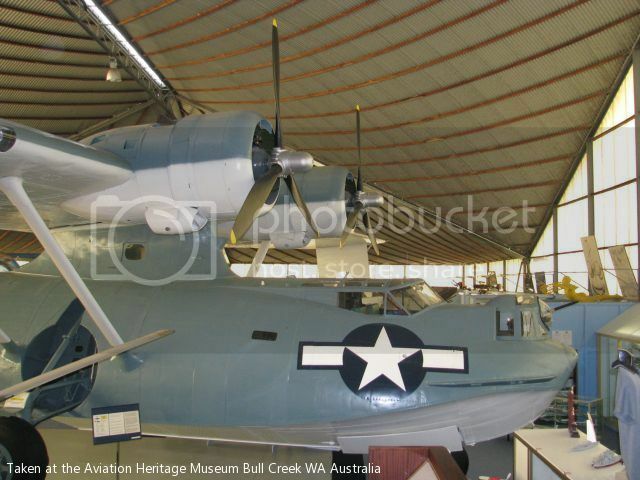 We have one in Australia in the Perth Aviation Museum, but it is just a static display now. Thanks, Aviator! This Catalina is one of the stars of many UK air shows, the flying display is quite a crowd pleaser. It has been most interesting to be inside the aircraft for all the photography, and to discover a vast amount of detail later during processing. The size was the biggest surprise for me, and the fact that the controls use cables running through the whole fuselage, instead of hydraulics. 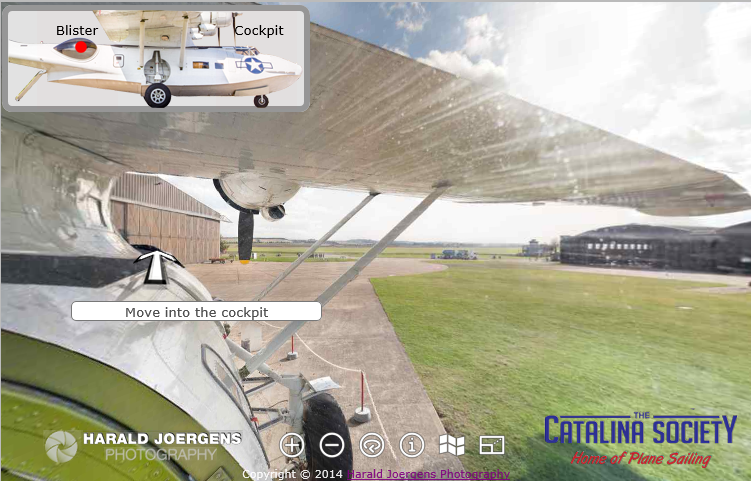 There are some interesting videos on the Catalina website, including a landing and take-off on Lake Geneva! The virtual tour isn't complete, another view covering the two rear sections of the fuselage is currently "work in progress". Check this out for wing loading Harald. The RAAF in 1944 shows the strength of it's construction. That is indeed very impressive - I guess that's over 100 people standing on the wing. Okay, that would be perhaps less than 10 tons, but it does look very impressive!